VATICAN CITY (CNS) -- Abolishing the death penalty worldwide would reflect the brave and hope-filled belief that crime can be dealt with without capital punishment and that a criminal should be given the chance to reform, a top Vatican diplomat told world leaders. "Respect for the dignity of every human person and the common good are the two pillars on which the Holy See has developed its position" of advocating for an end to the death penalty, Archbishop Paul R. Gallagher, Vatican foreign minister, said Sept. 25 at the United Nations in New York, where he led the Vatican delegation at the 73rd session of the U.N. general assembly. 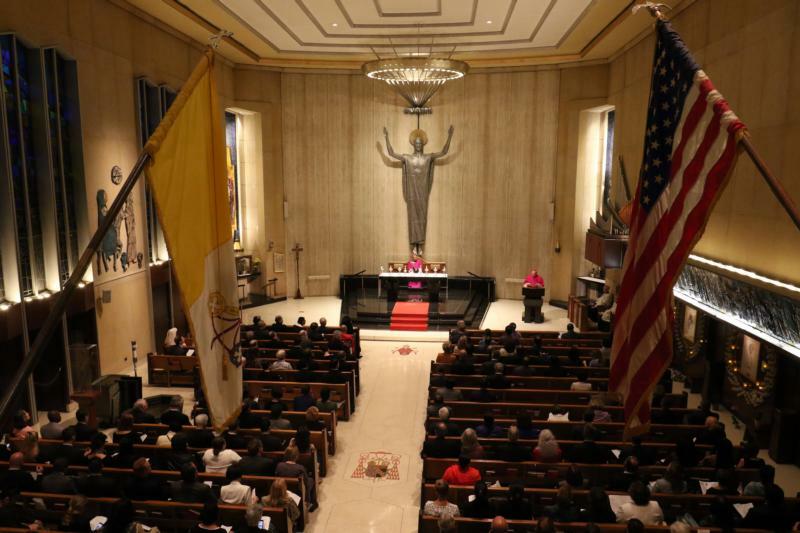 The Vatican released a copy of his speech Sept. 26. "The death penalty is inadmissible because it is an attack on the inviolability and dignity of the person." Speaking at a high-level U.N. side event on the death penalty and the role of poverty and the right to legal representation, the archbishop said that the universal abolition would be a "courageous reaffirmation" that humanity can successfully deal with crime while also refusing "to succumb to despair before evil acts, offering the criminal a chance to reform." The archbishop cited Pope Francis' recent revision of the Catechism of the Catholic Church, which states that "the death penalty is inadmissible because it is an attack on the inviolability and dignity of the person" and the church "works with determination for its abolition worldwide." The catechism's paragraph on capital punishment, 2267, had been updated by St. John Paul II in 1997 to strengthen its skepticism about the need to use the death penalty in the modern world and, particularly, to affirm the importance of protecting all human life. The original text recognized "the right and duty of legitimate public authority to punish malefactors by means of penalties commensurate with the gravity of the crime, not excluding, in cases of extreme gravity, the death penalty." However, as Pope Francis recently highlighted, there have been steady improvements of the penal system, and countries have the capability to protect the public order and safety with means other than the death penalty. China, Iran and Saudi Arabia executed the most people in 2016, according to Amnesty International figures. Amnesty says that China carries out judicial killings in the thousands every year, reporting the country as "the world's top executioner."